Alexander The Great? Not If You're Chinese! Many Chinese these days have chosen an English name to use in business, while traveling, or just to fill out their character as a world citizen. Names like 'Alexander' don't work well phonetically, however, and can add 'pressure' to already hectic lives. 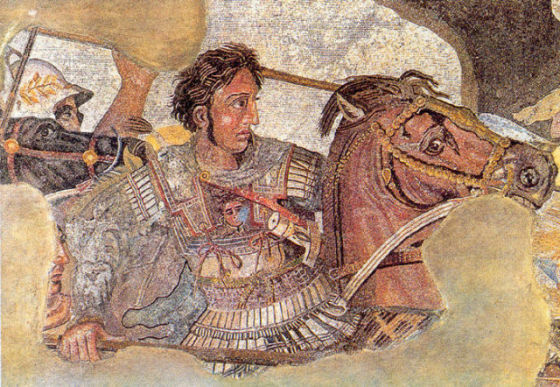 “Alexander” is one of the world's most popular names, perhaps owing to the legendary exploits of Alexander the Great. Though the storied Macedonian conqueror achieved the bulk of his fame over 2,300 years ago, his first name has lived on in such variants as Ishkander (Sri Lanka), Eskender (Ethiopia), and Skënder (Albania) just to name a few. Even China has it's own version of Alexander, known as Yalishanda (亞歷山大 or 亚历山大)... and therein lies a problem. It seems that Yalishanda is a homonym for a phrase meaning “under a mountain of pressure”. Not the ideal moniker parents want to saddle their offspring with, especially a boy born under China's One-Child Policy. I mean really, doesn't the kid have enough pressure on him right from the get-go? Even Chinese who aren't named Yalishanda can “feel” Yalishanda. “I really do feel pressure now because I have to take care of my parents and child while I work,” states Li Xiao, one of many sandwich-generation Chinese caught between the needs of their parents and those of their children. The name for Alexander the Great in Albanian language is "LEKA i MADH" not Skender! Skender/Iskender is an Ottoman/Turkish name for A.the Great. Gjergj Kastrioti-Skenderbeg,is an Albanian National hero who fought against the Ottoman Empire in XV (15) Century...!